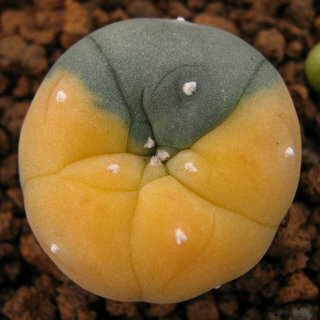 Dirk is a lucky man. 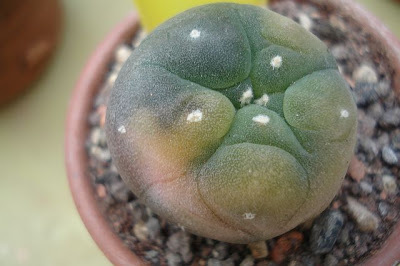 Anyway, judged by the quality of his collection of crested and variegated cacti, he has to be ;-) I think you’ll agree after seeing the pictures that Dirk has been kind enough to let me share in this post. 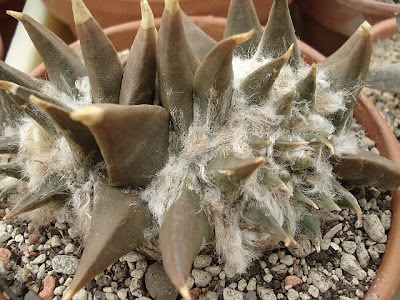 I’m particularly fond of this photo of a cristate Ariocarpus retusus, resembling a plant creature one would not be too surprised to encounter in a Tolkien novel. 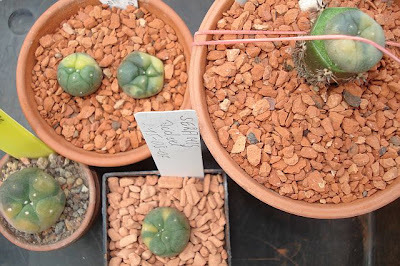 Dirk is living in Belgium and knows a commercial cactus grower in Holland who lets him pick and choose interesting seedlings when he’s visiting (to stock up on Harrisia for grafting). 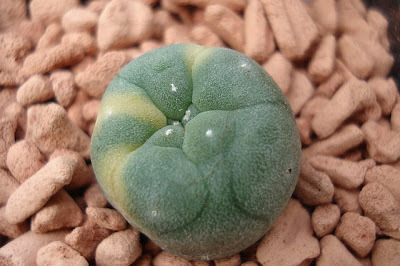 On this account Dirk has got quite a collection of variegated Lophophora. 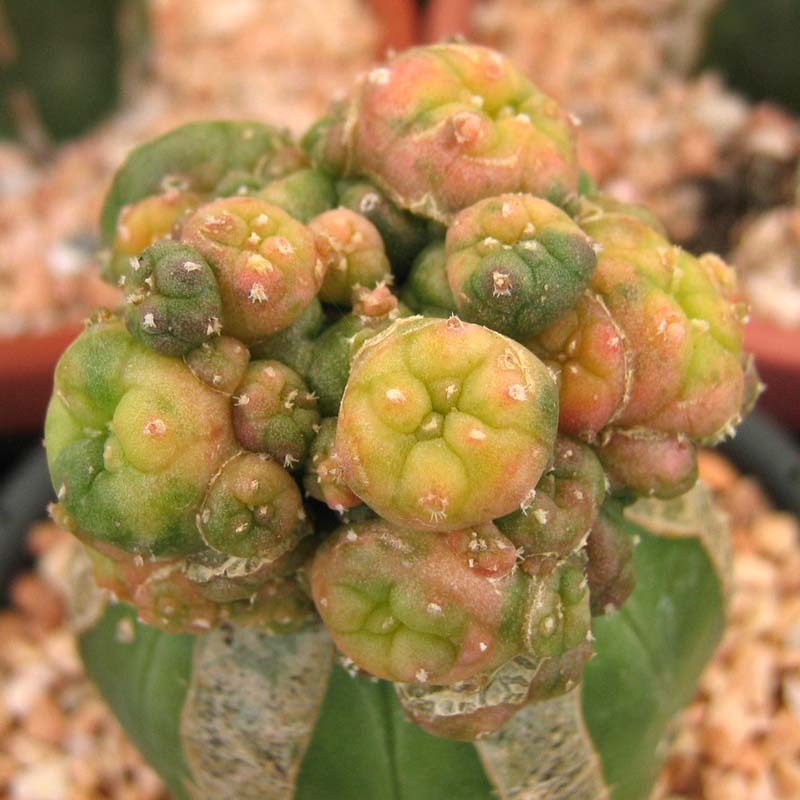 I especially like the pastel pink, yellow, and green colors of the above plant – it’s almost a wine gum look-alike ;-) But the rest of the collection is definitely also nice. 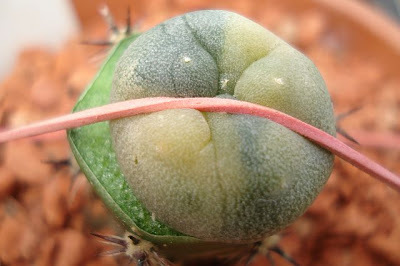 Dirk also has plants showing dichotomous branching like these beautifully symmetric two-headed Obregonia denegrii and Lophophora williamsii plants. Last I heard from Dirk he had just returned from a visit to the 2007 ELK. He had tried to obtain a cristate Lophophora – unfortunately without any luck. 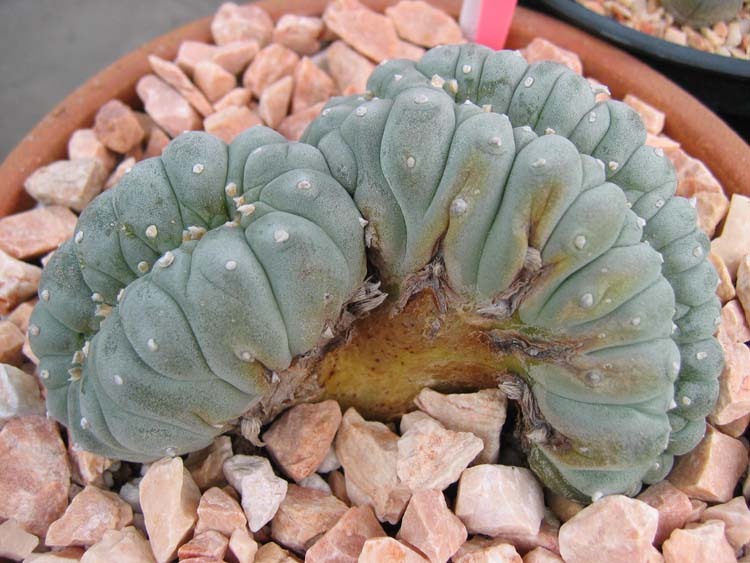 You can see more of Dirk’s amazing collection at his cactelders web site. I hope you enjoyed this featured collection - if you have pictures or information you would like to share, you can drop me a mail at “lophophora [dot] blog [at] gmail [dot] com”. Many Thai nurseries are offering large selections of variegated and crested cacti. 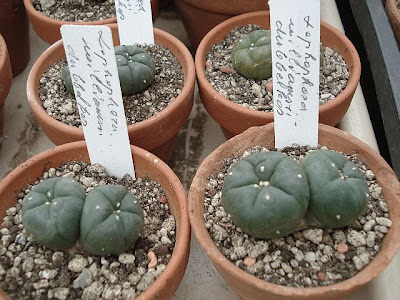 Unfortunately the Lophophora plants are quickly sold out so I haven’t obtained any yet. 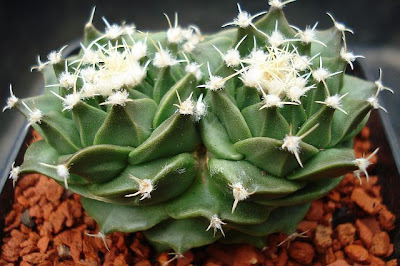 The photos below are courtesy of Deaw Cactus.